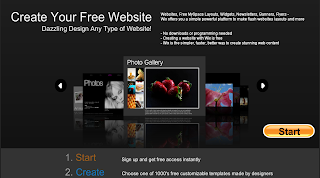 I came across an ad claiming to allow users to create free websites by a company called Wix . I investigated further and was impress by the variety of designs Wix offered. The templates may not give you a unique website but this appear to be relatively easy to use. I was also impressed with their three letter domain, "Wix" dot com, this is a rare find. Three letter domains, in my opinion, are like gems. If a business can be developed with a easy to remember three letter domain, it can be become a great brand. Sidebar: one of my favorite three letter Caribbean domains is KOS dot or Kingdom of Soca. Wix has an option for a premium account. They allow upgrades and downgrades, which is important if you added features and later changed your mind. Wix also provides hosting at a cost, "Wix provides a complete hosting solution for your website. Wix Grid hosting is superior to shared hosting and provides more than 99.9% uptime uninterrupted service." This company is worth a try if you are looking for the all in one package. I have never used Wix and I am not affiliated with their company in any way. This is another option for Caribbean businesses coming online.